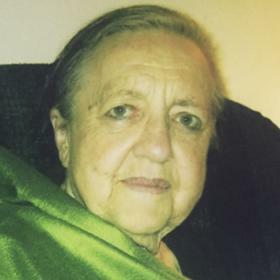 Eileen Mary Kealy was a beautiful, wise, and loving woman who lived out her Catholic faith day by day, in a profound way throughout her entire life. She was extremely thoughtful, sweet, well-spoken and independent. While she may have appeared quiet or a bit reserved at times, to those who knew her she was warm and loving, and had an engaging personality. Loved and revered by her husband and family, she will be deeply missed. In June of 1908, William and Veronica Klein married and began their family in the German farming community of Chesaning, Michigan. Eileen, the ninth of eleven children, was born August 10th, 1925. Her baptismal gown, the same one worn by all of her siblings, was lovingly made by her Mother, a seamstress. It would one day be worn by her children and her children’s children. Eileen Mary Klein grew up in an environment where love, joy, hard work, and their treasured Catholic faith were instilled into everyday life. The family was close, and enjoyed being with each other whether they were working hard on the farm, or gathering with friends and neighbors for community events. Saint Michaels’s Church, was just a mile down the road and there the family attended Mass, received the Sacraments, and gathered in times of joy or sorrow. Eileen always spoke fondly of those early years. She remembered Santa visiting St. Michael’s school each year at Christmas time, sitting with the big book that contained his list. As the children filed by, he’d give her a wink or reach out and give her braid a little tug. Only later did she realize that “Santa” was her Dad. Another early memory was listening to the parish priest speak to her class about angels, and then moving over in her seat to make room for her own guardian angel. Eileen enjoyed high school. She had a gift with words and submitted original poems to the school newspaper--eventually becoming the editor. 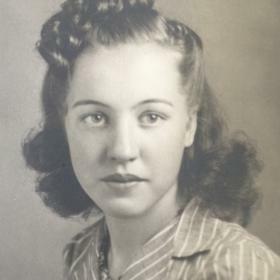 She graduated as Valedictorian of her class in 1943. The class motto, “Dare to be different,” was one she embraced throughout her life. Eileen’s father had built a fieldstone home that would be filled with lots of love and laughter as family gathered there for years to come. However, at seventeen, Eileen was ready to get a job, and become independent. World War II was on and many of her classmates, as well as her brother Gervase, had joined the armed forces. Eileen applied to Michigan Bell Telephone Company and for the next seventeen years worked there first as a Switchboard Operator and then as a Service Observing Manager, a job she enjoyed as it required her to travel to different cities in Michigan. This was an exciting time in Eileen’s life. She enjoyed working and being able to buy her Mother an electric stove. She loved to travel, spending a weekend in Cuba, enjoying the Kentucky Derby at Churchill Downs, and exploring the National Monuments in Washington, DC. Eileen always had a love for music. She had a collection of 33rpm records of the Ink Spots and Kate Smith, among others. She also took Arthur Murray dance lessons at the local studio winning a trip to Mexico where she was able to visit the Shrine of Our Lady of Guadalupe. 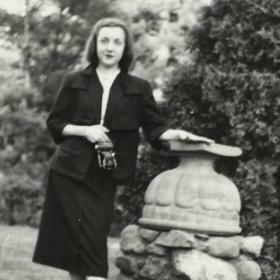 However, her family was never far from her thoughts and prayers, and Eileen returned to Maple Grove often on weekends, and took her vacation in early June, when the peonies were in bloom ‘out home’. 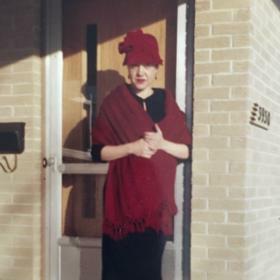 In 1956, Eileen accepted a job transfer to Kalamazoo. She rented a room within walking distance to work, and just across the street from St. Augustine Cathedral. A neighbor, living in the apartment below with his wife and young son, asked Eileen if she’d like to meet his boss, who also attended St. Augustine’s. Eileen said yes. Little did she know how her life was about to change. On a September evening in 1958, she went downstairs to the young family’s apartment and there she was introduced to a handsome man with an easy smile, a good sense of humor and an Irish accent: Patrick Joseph Kealy. It didn’t take long for them to realize they had a lot in common and were meant for each other. They were engaged on December 8th, 1959, the Feast of the Immaculate Conception, and united in the Sacrament of Holy Matrimony on April 23, 1960 at St. Michael’s Church in Maple Grove. From the beginning, Eileen was faithful and devoted to Pat. She was an exemplary wife. The strong foundation her parents had set prepared her for her beautiful vocation as a wife, and then a mother to their seven children. In her kitchen hung a framed picture of a woman at work in the home, with a saying from Poor Richard’s Almanac: “Grace thy house, let it not grace thee.” Eileen was indeed a woman of grace, and at home, she was in her element. She cared for her husband and children with a sacrificial love, instilled wisdom and set an example for them and others with both her words and actions.  The Catholic faith was the foundation of Eileen and Pat’s life. They had a strong devotion the Sacred Heart of Jesus and the Immaculate Heart of Mary. They considered it not only a duty, but a privilege and joy to pass on the faith to their children. In that they were thorough, teaching them the basic catechism, preparing them to receive the Sacraments, and witnessing by example how to live a life of integrity, goodness and love. Eileen and Pat also shared a passionate interest in politics and current events. Eileen would surprise people with her knowledge of football and sports, which she of course learned from Pat. She made wonderful meals for her family, and her baking was second to none; apple butter cookies and rhubarb pie, (or any of her pies for that matter) were family favorites. Life was busy and of course there was always work to be done, groceries to buy, meals to cook, and yet another pile of laundry to fold. While that very well could have become mundane, Eileen knew that family life was sacred. She treasured this time of her life, and enjoyed her family. Warm memories of her laughing so hard tears ran down her face, or enjoying a box of chocolates while encouraging someone to “open the other box” still make her children smile today. In later years, the simple gift of her endearing smile was a treasure beyond measure. 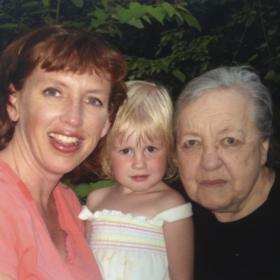 Eileen will be remembered as a devoted wife and mother, sweet and kind to all, but happiest at home with her family. Described as elegant and beautiful, selfless and loyal, Eileen was an inspiration to those who knew her. Eileen Mary Kealy died peacefully at home, with her children at her side, on June 13, 2017. She was preceded in death by her parents and siblings: Mentford, Gervase, Ramona, Imelda, Alvin, Alvera, Eulalia, Nathalia, Rufina and Aelred, as well as her husband Patrick. After sharing 56 years of holy matrimony, they were separated by death for only 56 weeks. She is survived by her children: Teresa (Kevin) Gordon, Mary Kealy, John Kealy, Ann Kealy, Patrick (Monika) Kealy, Sr. Mary Marta M.C., Nellie (Daniel) Kuebler and 15 grandchildren: Joseph, Michael, Daniel, Kathleen, Timothy, John, Casey, Alex, Jimmy, Joseph, Patrick, Carolyn, Brendan, Julia & Elena, sister-in-law Shirley Klein and many nieces and nephews. Visitation will be on Sunday from 4-7 p.m. at the Life Story Funeral Home, Betzler-Kalamazoo, 6080 Stadium Drive; 375-2900 where a rosary and time of sharing will be held at 6:30 pm. Mass of Christian Burial will be celebrated Monday 10 a.m. at St. Augustine Cathedral, 542 West Michigan, with burial at Mt. Olivet Cemetery. A luncheon will follow in the Cathedral Center. 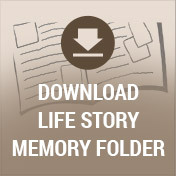 Please visit Eileen’s personal web page at www.lifestorynet.com, where you can archive a favorite memory or photo and sign her online guestbook before coming to the funeral home. Memorial donations may be made to Missionaries of Charity, 335 E 145th Street, Bronx, NY 10451.